If you are getting child support payments in the state of Florida, your money will be issued on an Eppicard Florida Debit Card. In this post, we will describe the essential features of the debit card, including fees, charges and how to contact customer service. We will also show you how to log into your account to check your transaction history or check the account remaining balance. Your child support card will look like the card below. 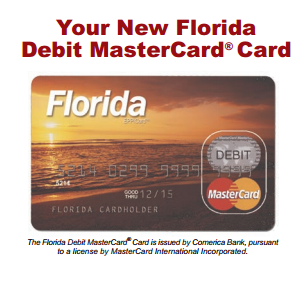 It is a debit Mastercard issued by Comerica Bank and it can be used anywhere debit Mastercards are accepted. To log into your Child support debit card account, you will need to visit their website. You will need the User ID you created when you activated your card. Here is the link to the website. Once you are able to log in successfully, you will be able to check your account balance and any transactions that are pending to be processed. Below is the customer service number to call. Note there is a separate number to call if you are calling from outside the United States. As you may be aware, the convenience that come with using a debit card also means there are fees and charges associated with the card. The Eppicard is no different. You should become familiar with the fees and costs associated with the card so that there are no surprises when you use the card. 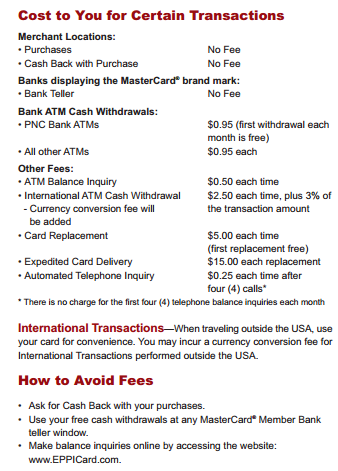 Below are the fees that come with your card. You should also periodically check with the website to be updated on fees. We hope this post was helpful to you. If you need help with card specific question, call the customer service number listed above. If you have any complaints about your child support eppicard florida experience, or issues you experienced trying to contact customer service and support, please tell us about it in the comments section below. Eppicard Now is not affiliated with any government agency. We are a website dedicated to helping Eppicard cardholders find the information they need on their child support and unemployment debit cards. This includes how to reach Eppicard Customer Service, account login, free ATM information, updated list of fees and charges that come with your card, and how to use the card for purchases, including online, cashback and many more. 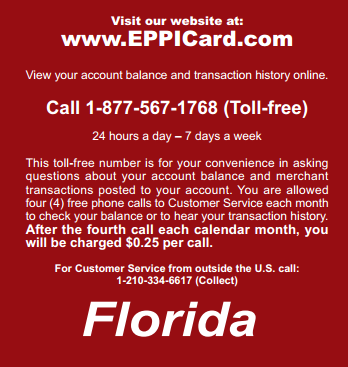 If you have any questions about your Eppicard that is confidential, call the number on the back of your card.